Cf. for this Carlo Mattogno, “Combustion Experiments with Flesh and Animal Fat,” TR, 2(1) (2004), pp. 64-72. 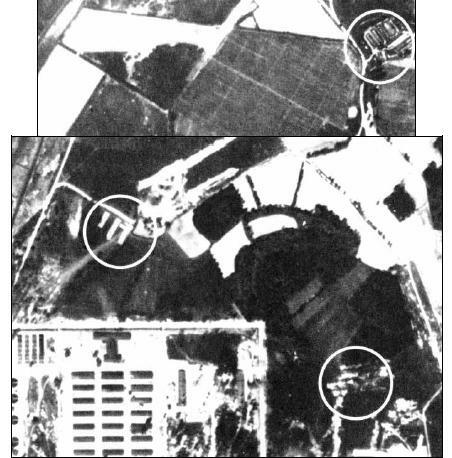 Michael Gartner, Werner Rademacher, “Ground Water in the Area of the POW camp Birkenau,” TR, 1(1) (2003), pp. 3-12; Carlo Mattogno, “Open Air Incinerations in Auschwitz: Rumor or Reality?,” ibid., pp. 14-17. Cf. W. Luftl, “1972: A Somewhat Different Auschwitz Trial,” TR 2(3) (2004), pp. 294f. NO-4467; RGVA, 502-1-336, p. 69; cf. Ill. 124 in the appendix, p. 330. Danuta Czech, Kalendarium der Ereignisse des Konzentrationslagers Auschwitz-Birkenau 1939 –1945, Rowohlt, Reinbek 1989, p. 305 (Engl. : Auschwitz Chronicle, 1939-1945, H. Holt, New York 1990). G. Reitlinger, op. cit. (note 252), pp. 144, 146f. ; Raul Hilberg, op. cit. (note 39), pp. 389, 977; E. Kogon, et al. (ed. ), op. cit. (note 96), p. 60-62, 134, 169; I. Gutman (ed. ), op. cit. (note 112), article “Aktion 1005,” vol. 1, p. 11; Steven Paskuly (ed. ), Death Dealer. The Memoirs of the SS Kommandant at Auschwitz, Da Capo Press, New York 1996, p. 33f. ; cf. Dokument NO-4498b of the IMT, as well as Paul Blobel’s “confessions,” NO-3842, 3947.